Not really. Since Sigma Types are already dead when they become Amazons, they don't crave human flesh or other proteins. So she doesn't eat. Nothing fun like a burger. Nothing at all really. She essentially acts like a robot most of the series and doesn't display or keep anything unique really. Is it wrong I guessed this was a was a web exclusive before I saw the images of the package it came in? But the design does look better than I remember from season two in these. She's a monster from a weird spin-off, it's not really surprising she was a web exclusive. 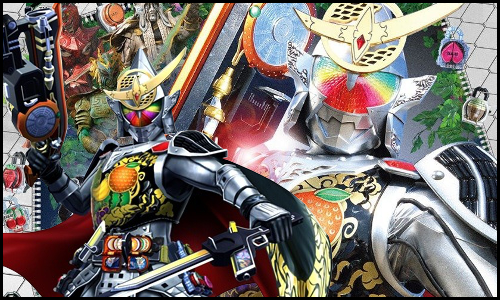 I think almost everything from Amazons is other than the main Riders. It's still available if you want to get it. Nippon-Yasan sells it for the initial price and I've seen one on Mandarake for like 6000¥. Gorgeous gallery, and absolutely one of my all time faves from amazons. Her story was so freaking brilliant and well filmed. I'm still in awe of it, and it easily ranks within my top 5 of best Toku moments of all time. Man, I am so far out of the loop on Figuarts. I had no idea this even existed.